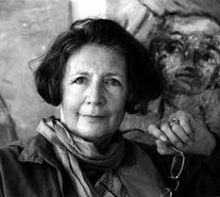 The Alice Miller Prize is a yearly award that is given to researchers, writers or journalists who relate to Alice Miller in their work and thus keep the memory of her important thoughts regarding the roots of violence in childhood. And it can be given to nonprofit organisations taking action for the protection of children from violence. The amount of money that can be granted varys. The board members of the Alice Miller Memorial Foundation receive recommendations - and pursue their own research among scientific papers published on the internet in the course of one year. But you can also make a suggestion for the Alice Miller Prize 2018 by commenting below this post (comments will be reviewed - they require a Google account).